Time to buckle up your seatbelt and get prepared for a high speed car race. 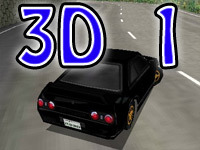 If you love racing games and race cars then Super drift 3d provides all your needs. In this game you will be presented with super-fast racing cars which can travel at blazing speed and drift through the slippery streets and curvy mountains. If you think you have what it takes to be the best racer, then Super Drift 3D is the perfect choice for you. 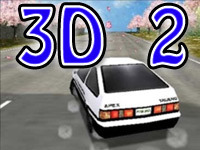 Super Drift 3D is a three dimensional game with stunning visual and beautiful models of cars. The stages are marvelously crafted and very realistic. 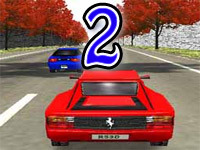 Due to its realism of the physics involved, the roads are quite difficult to drive as you will be faced with slippery and curvy roads The design of the cars are neatly created, each of the cars are unique in model and there are a wide variety of car to choose, which makes it very difficult to select. 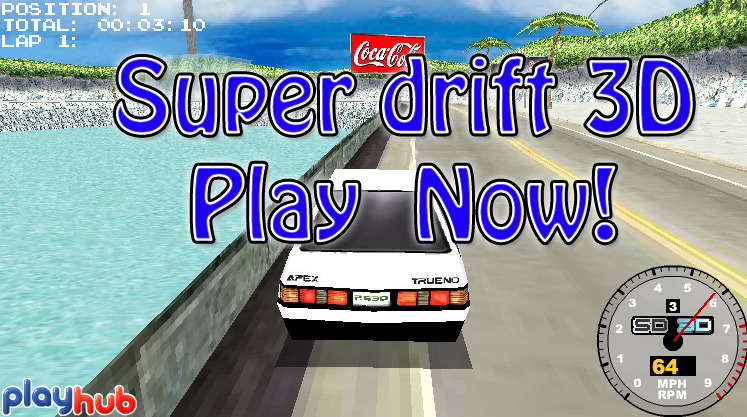 In Super Drift 3D there are 2 modes to play, each of the modes guarantees you hours of fun and excitement. Arcade Mode – In arcade mode you have to participate in high speed race against opponent who show no mercy. Your objective is to try and reach the finish point before your opponent. Time Trial – You may think you have mastered the game but can you really beat yourself? The time trail is for those who loves to challenge themselves or take their skill to next level. 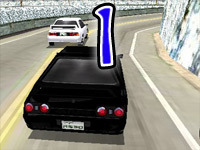 The objective of the game is to race solo. Your timing for each races will be recorded, now if you think you have the potential to beat your own timing, then time trail mode is the best selection. There are two drift modes in the game. Each of the mode are targeted for the player’s skill. Easy Mode – This game consists of curvy and slippery roads so making sharp turns or performing wild drifts to increase the speed is essential. Easy mode is aimed at the beginners to get the taste of the game and how the drift works. The downside of the easy mode is after successfully completing a drift you will only receive small boost in speed. Expert mode – This mode is targeted for players who want more challenges and can execute skillful drifts. If you believe you have mastered the drift system then take a peek at expert mode. The downside is you need to skillfully complete the drifts to get a boost in your speed which can be quite tricky. Easy Mode – In easy mode, your opponent drives slower for which taking the lead can be quite easy in this mode. It is mainly aimed at player who are new to the game. Intermediate Mode – This mode is good for players who are more familiar with the game. 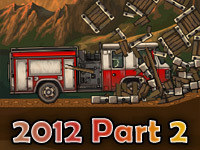 In this mode the game is neither easy nor too hard, so it provides a decent challenge to the players. Expert Mode – It is only for the player who thinks to have mastered the skills and are able to take the challenge. This mode of the game is really hard to complete and is suitable for the more experienced players.